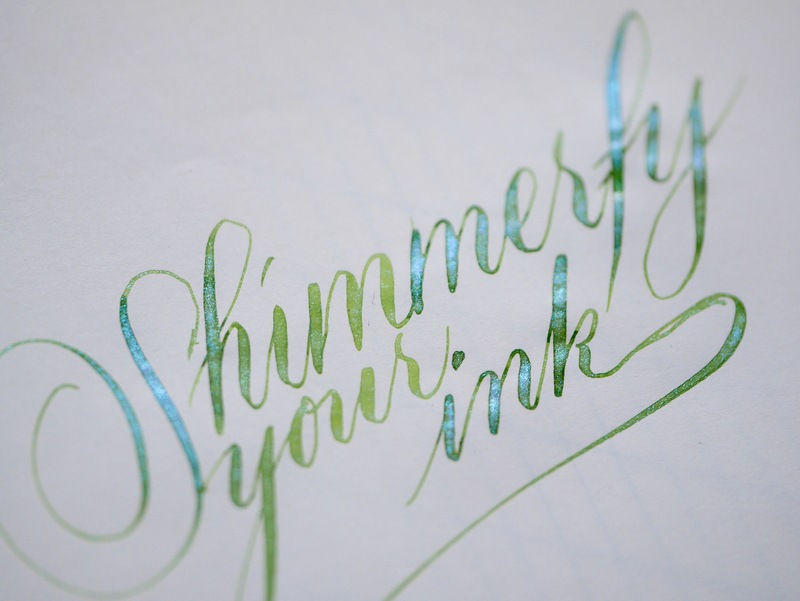 Shimmerfy your own inks. Because you can. – Leigh Reyes. My Life As a Verb. 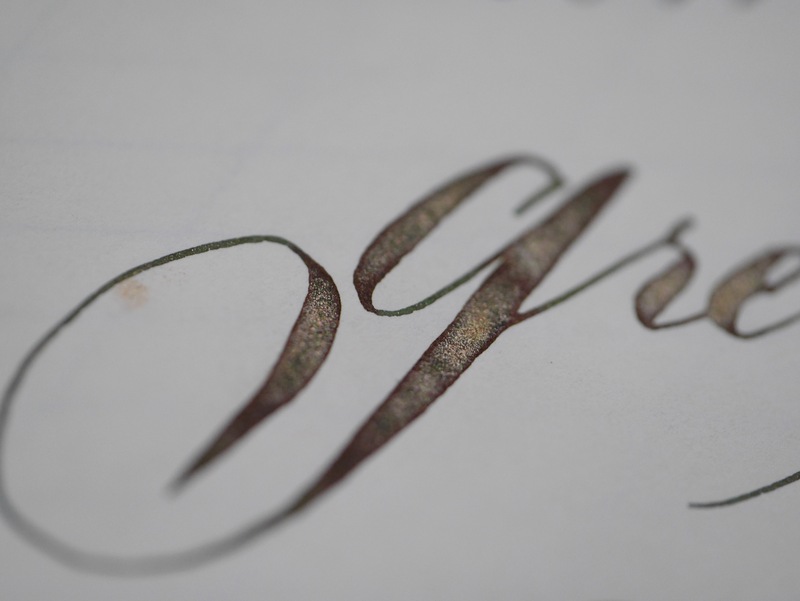 J. Herbin, now look what you’ve done. 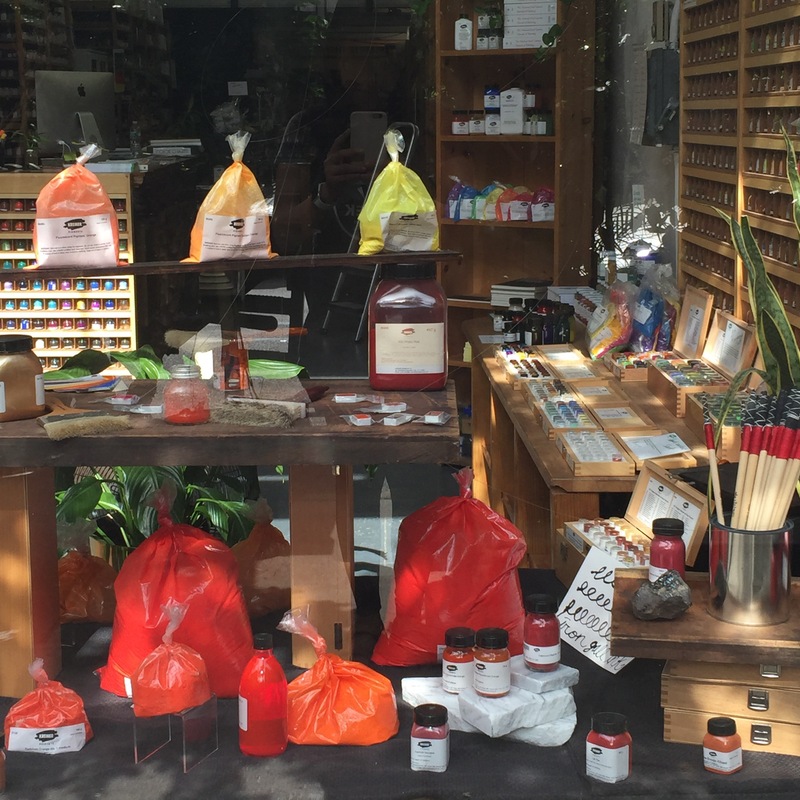 Rouge Hematite stained our hands, sinks, and demonstrators – but that sheen! That indescribable gold-green shimmer! That showstopper red that soaked through many a ream of Tomoe River paper! Blue Ocean was a wash until reissued with twinkles. Stormy Grey was so popular, many online retailers limited it to two a customer, like LV Neverfulls at the flagship store. 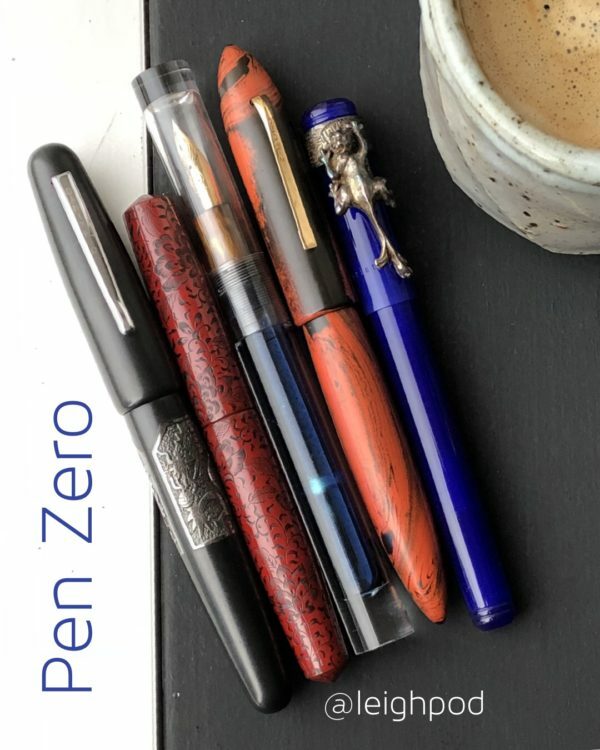 The recent frenzy over Emerald of Chivor approached One Direction levels. (Thank you, Vanness Pens, for making sure I got my two bottles in time.) 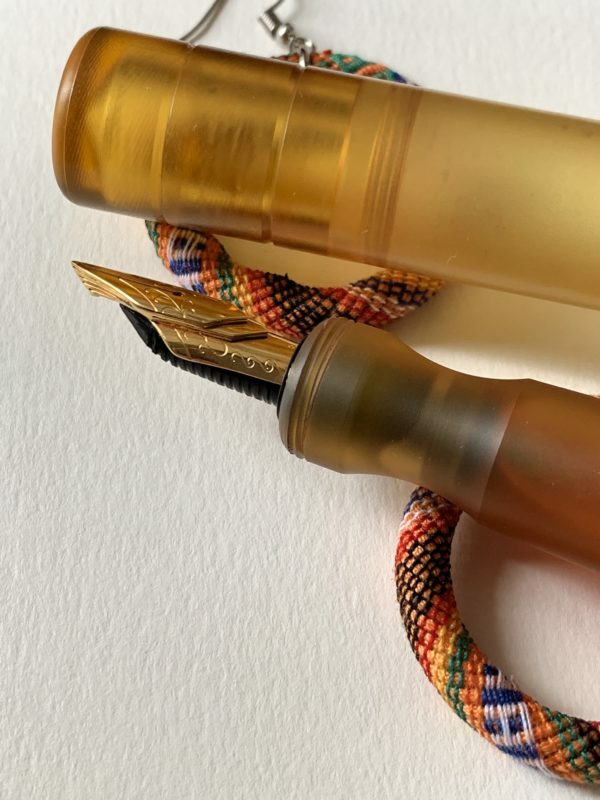 And now social networks are frothing with anticipation over Diamine’s Shimmertastic inks (not just one, not two, but ten ink colors with rainbow unicorn payloads). Only 0.01% of my inks have shining shimmering splendor in them, so I figured I’d up the ratio and have a little mad scientist fun along the way. 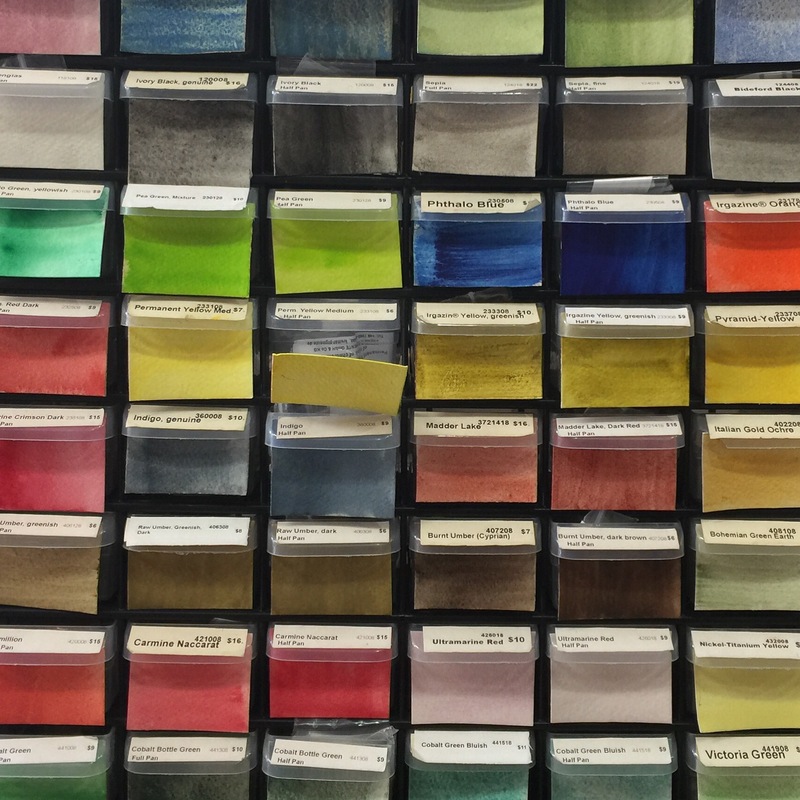 Kremer Pigments has everything mad scientists need. 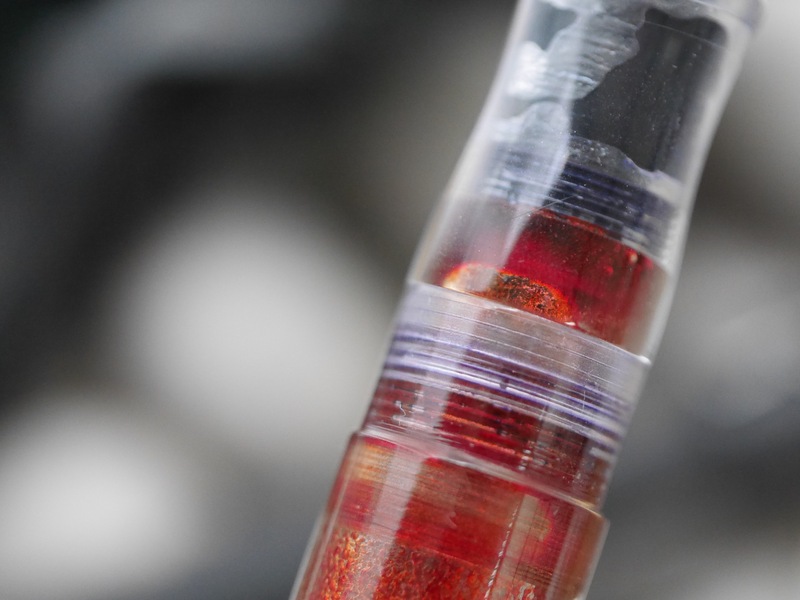 Fountain pen inks are usually dyes. 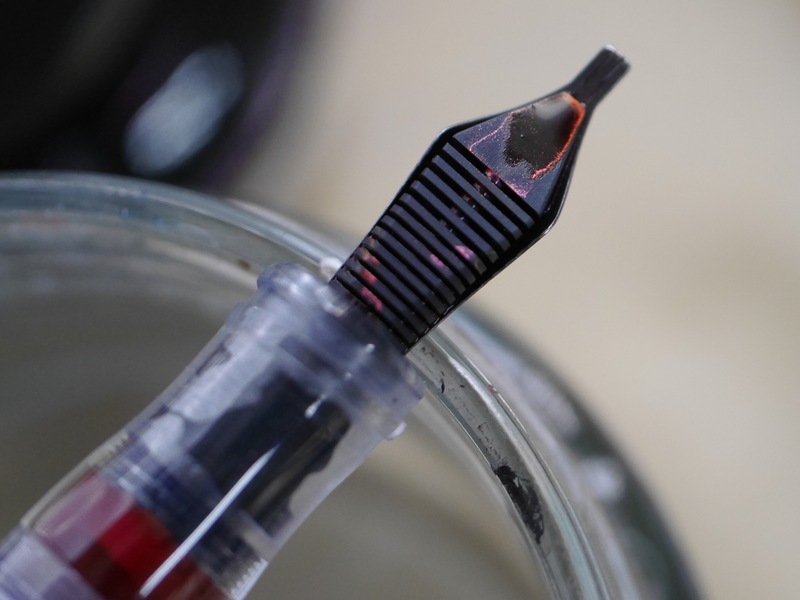 Pigment inks (like Platinum Carbon Black) have particulates that tend to hang out in feeds long after you’ve rinsed your pens. 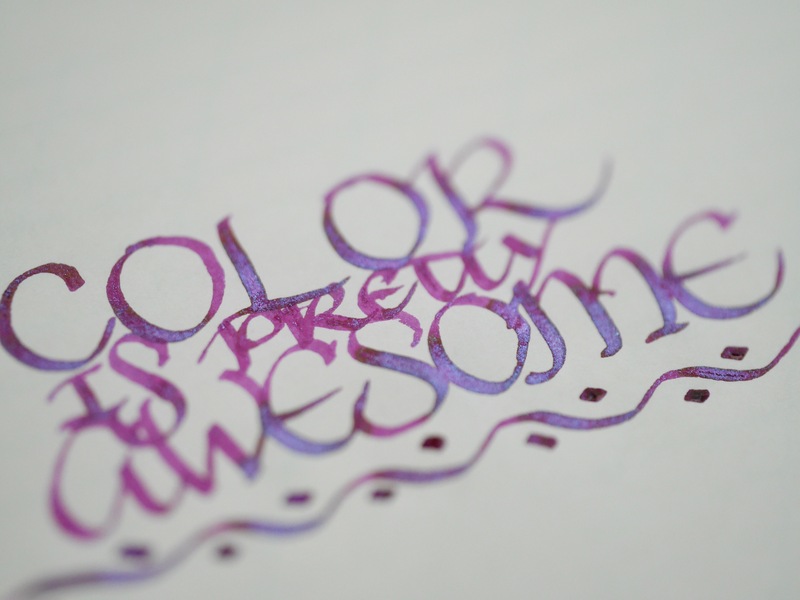 Put a dye-based ink and shiny pigment together and you have your own shimmery ink to play with. 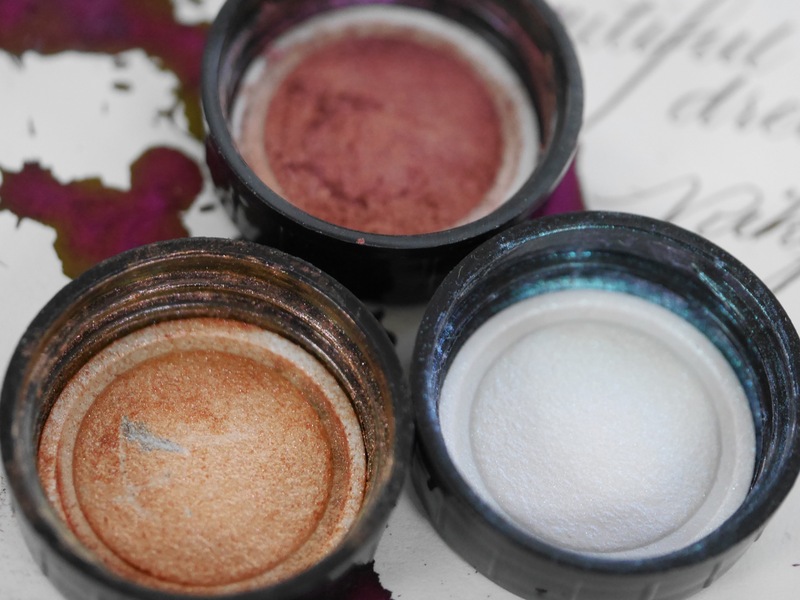 Pigments are everywhere: cosmetic grade pigments are in shimmer eyeshadow, highlighting powder, blush, and more. Pearlescent pigments, synthetic mica, color shifting powders – change the carrier and you have paint, or a moisturizer that makes your skin glow. 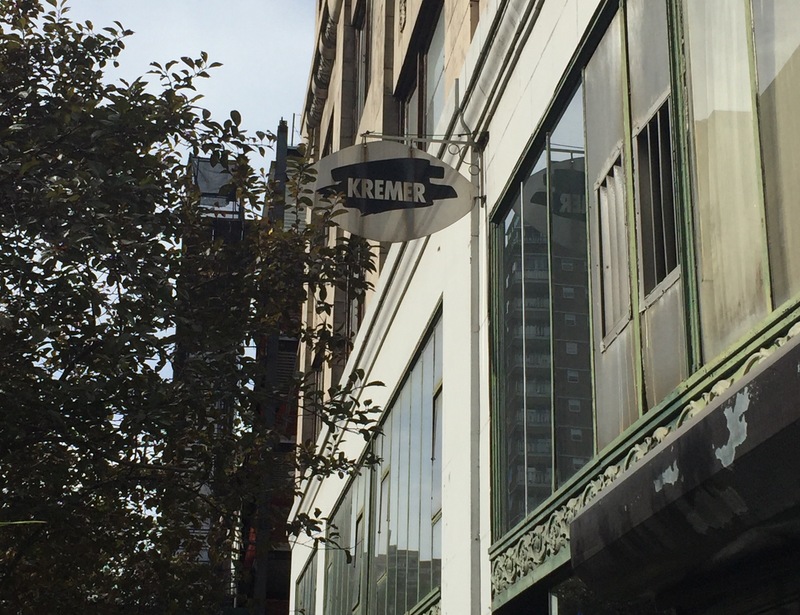 Kremer is where I get half-pans to refill watercolor boxes. 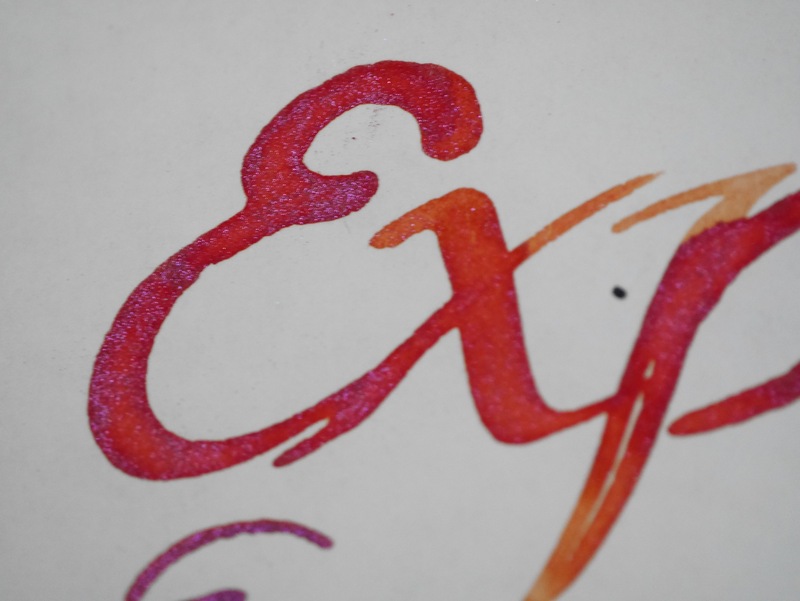 This visit, I added three bottles of pearl luster pigments, to mix with the inks I already have. These mixes don’t play well in regular cartridge/converter pens. 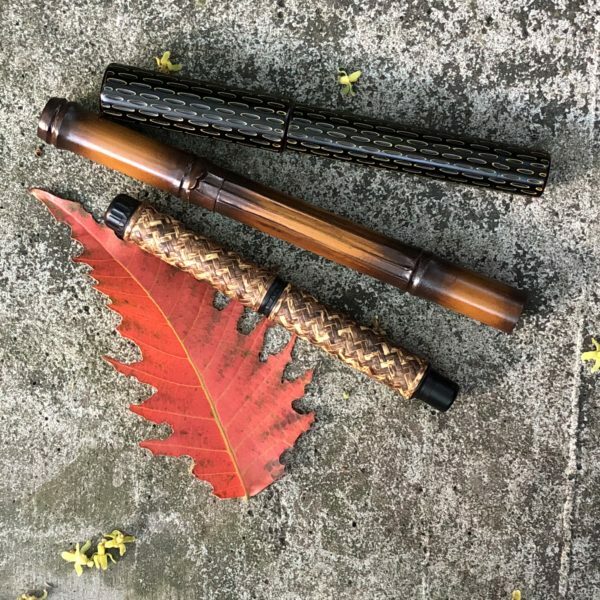 I love using them in eyedroppers – particularly in the Desiderata, which has an ebonite feed with no fins for particles to get stuck in. I’ve been obsessing over mixes the past couple of days. It has gotten to the point where I see glitter when I close my eyes. 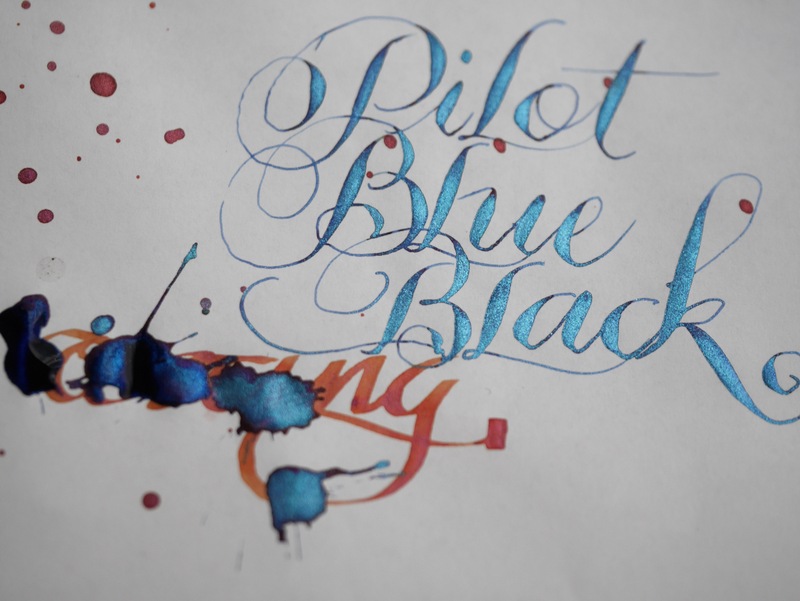 My two favorite inks are Pilot Blue Black and Platinum Carbon Black. 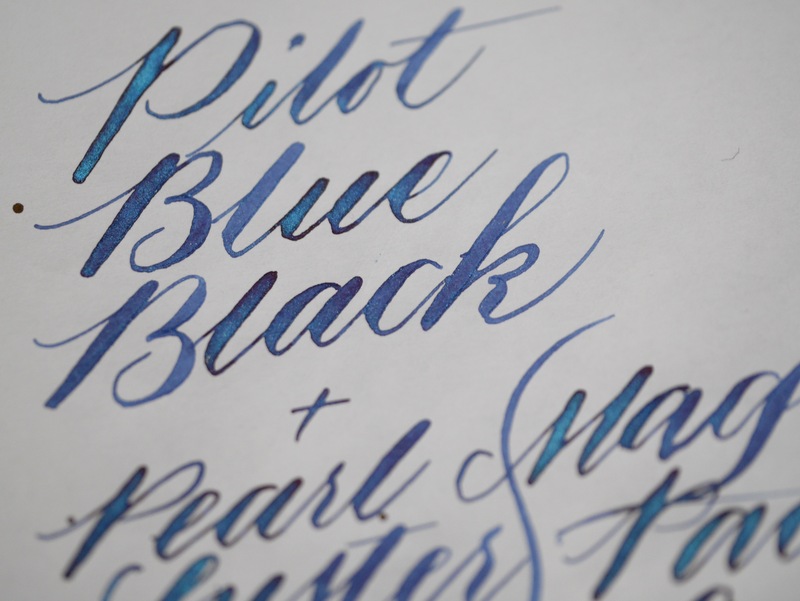 PBB’s flow and sheen make pearl pigment almost “float,” which makes for even distribution. Platinum Carbon Black does not play well with others. It eats all the visible light in the universe, including pearl powder. 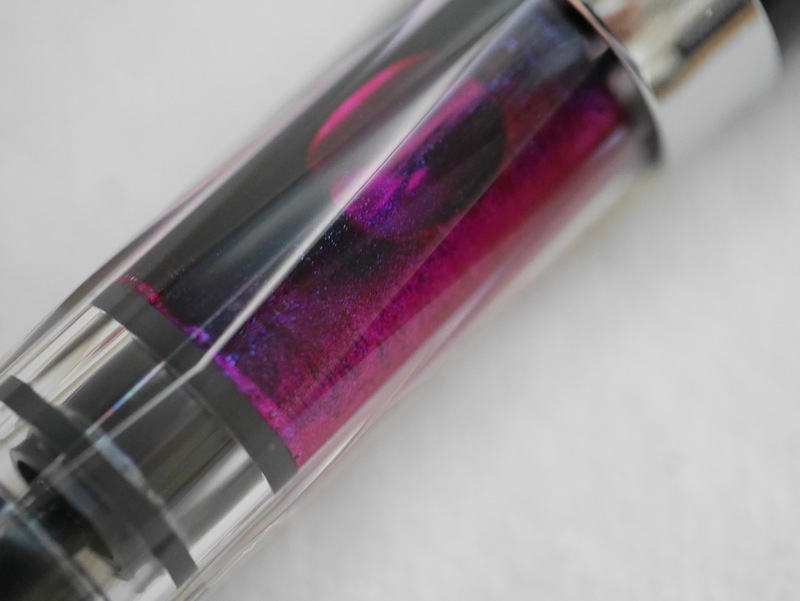 Pilot Iroshizuku yama-budo’s intense magenta with Pearl Luster in Pacific Lagoon is fireworks on paper. 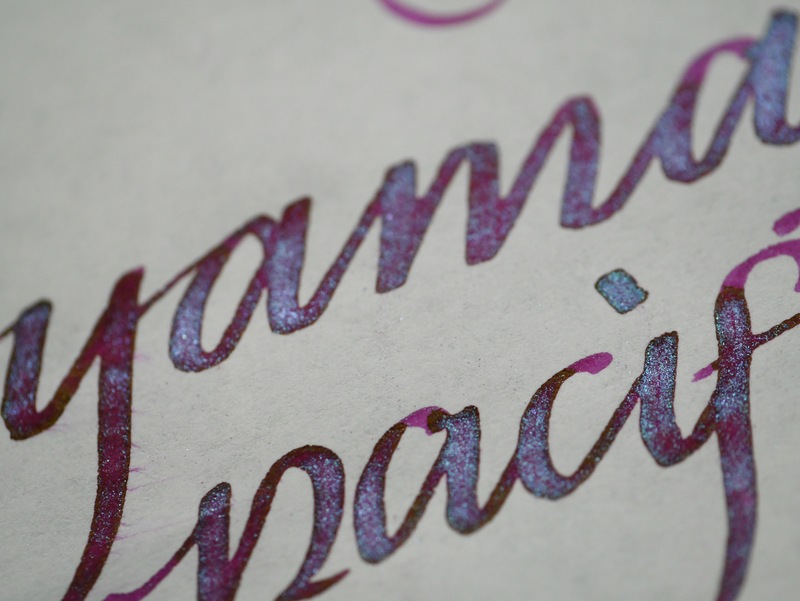 Pilot Iroshizuku Yu-Yake spiked with Diamine Yellow, plus Pearl Luster in Magic Purple, reminds me of Indian saris. The mixes look damn good in demonstrators. I don’t intend to keep them in the pens for long, though. A word of caution: although they look similar, crushed eyeshadow or pigments sold as makeup don’t work. The pigment load is there, but also binding and moisturizing agents that simply won’t work with ink or pens. 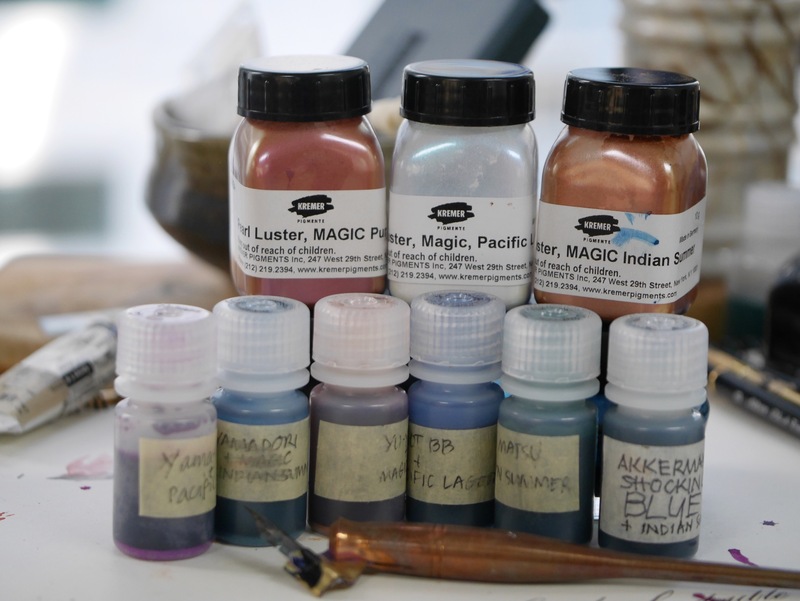 There are many sources of pearl luster pigments online, although many deal in bulk orders. Kremer’s sizes start at 10g bottles – more than enough for playtime. You don’t need a lot. It does look like I’ll be needing more 15ml Nalgene bottles to hold the results of my experiments. If you give this a shot, let me know. It’s way too much fun not to share.